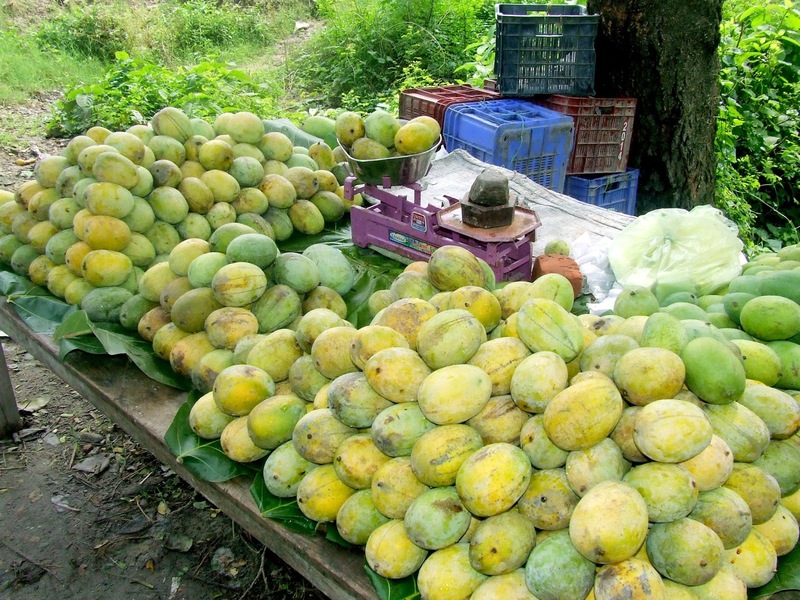 Mango is the favourite of fruit of the family. Ever since the first lot arrives in the market in the early summers to almost the end of monsoons, or to say, as long as the fruit stays in the market, it is bought religiously and enjoyed fervently. However, of late, because of the scare of the carbide ripened mangoes, we have stopped buying the fruit from the market. We have discovered some farms in the outskirts. Now, our fruit is lifted from these farms while it is being plucked, thus ensuring that fresh produce presumably chemical free and definitely carbide free lands up on our plate, and, at the same time reducing carbon footprint. Last month, there was a lovely recipe posted by a blogger friend from Kolkatta that swept me off my feet. 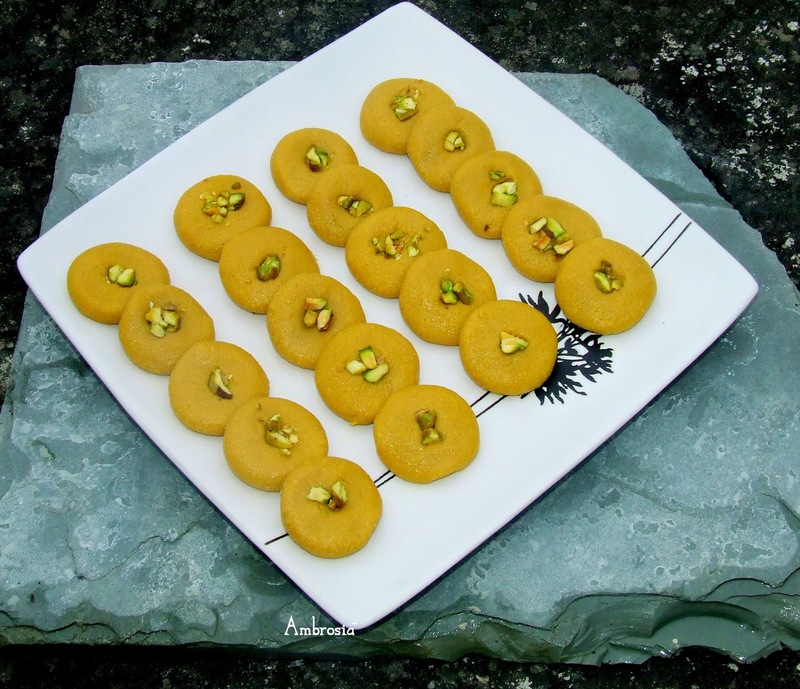 Amrita posted the recipe of Mango Sandesh in her blog Sweet 'n' Savoury. 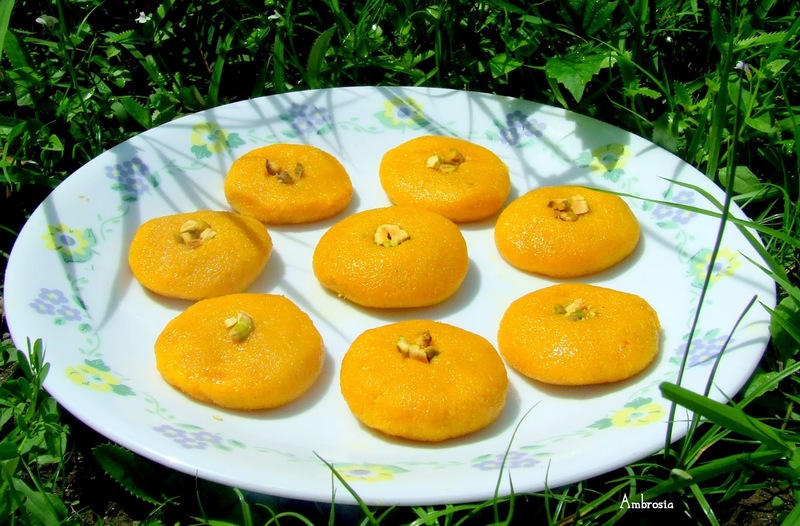 She used mango pulp in the famous Bengali sweet Sandesh. It was a beautiful fusion of two of our favourite things. I made mango sandesh twice and we loved it immensely. This is how I made Mango Sandesh. Transfer cottage cheese to a plate. Mash it well. Knead it with the heel of your palm till it becomes smooth. Take mango pulp in a thick bottomed steel wok. Add sugar. When sugar dissolves, add mashed cottage cheese. Mix well. Cook on low flame stirring continuously. Mixture starts turning thick. After about 10 to 15 minutes, it begins to move like a big lump when stirred. Turn off the heat. When it is comfortable enough to handle, shape into small balls, roughly the size of a walnut. Flatten it between palms. Chocolate Sandesh ....chocolaty and delicious! Oh.. and I love your plating Namita :) Pretty little yellow rounds on that pretty square plate! I adore Mangoes too and just loved these sandesh. Learnt a new trick from you to curdle milk with curd and I am so loving the chocolate version. Happy that you enjoyed the recipe. Sandesh look beautiful Namita! 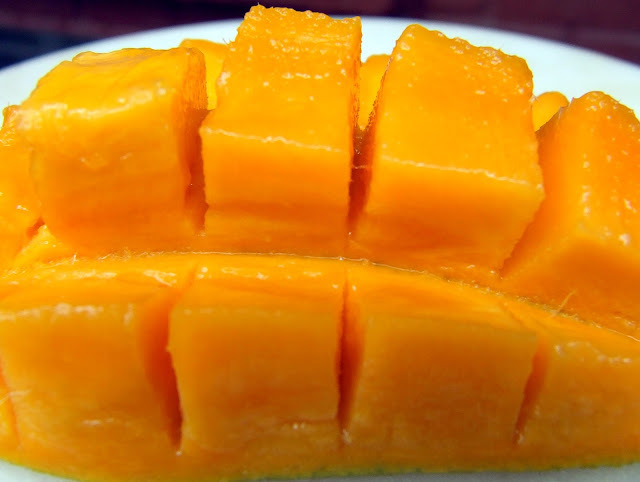 But those mangoes are making my mouth water!